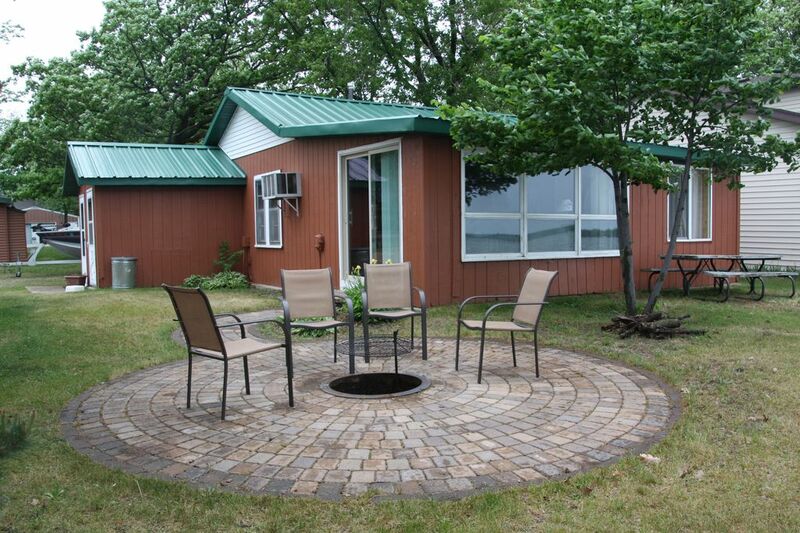 Great lakefront cabin with private yard and newly built paver patio with fire ring on the shore of Otter Tail Lake. This year round 3-bedroom cabin has a full kitchen and full bath. Its 3 bedrooms include a queen, a double and 2 twin beds. It has a large living/ dining room space. The cabin features a full kitchen including microwaves. It is fully furnished including bedding, but please bring your own towels. The cabin has a barbecue grill, picnic table and a color cable TV. Nice clean cabins, fabulous swimming and very friendly staff! We rented the cabin for a girls weekend and it was a great time. The swimming area was very large to accommodate people in floaties and kids swimming at the same time. Cabins was spacious and staff was very friendly. Great location. We are glad you enjoyed your stay. We love to see groups enjoying our swim beach, which we consider one of the best in the state. Great for people of all ages. Hope you all applied enough sunscreen. Have a great week! Nice View of the Otter Tail Lake. Beautiful cabin. So relaxing. It was exactly what I was looking for. Thank you. Had a great time at this cabin. Located right next to the lake, can't beat waking up in the morning and seeing the beautiful lake right in front of you. Thank you Paul for everything! Deposits are non-refundable. Any cancelation within 1 month, customer will be charged full reservation amount.